Artists looking for acrylic colors with guaranteed quality and lightfastness will find what they're looking for in Brera Acrylics. These are colors for professionals that respond to the artist's skill and dexterity by returning fantastic colors. 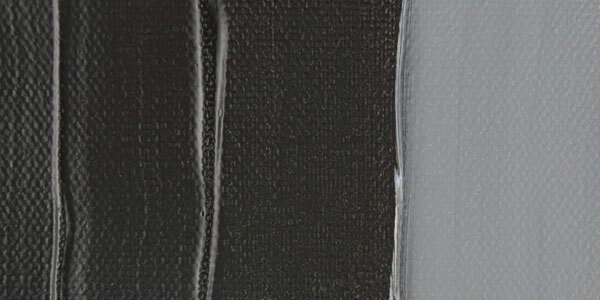 Mars Black is an opaque black with a strong and cool masstone, a slightly warm tint, and a warm brown undertone. It is not as black as Ivory Black, but it dries more quickly and has three times the tinting strength. 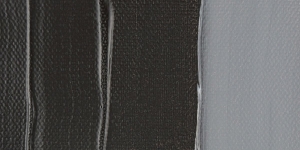 Mars Black is normally the only black available in acrylic form and that is safe to over paint. It can be used in all media without reservation and is widely used as an alternative to Lamp Black and Ivory Black. Mars Black is very lightfast with excellent permanence. Mars Black has no significant hazards and is the only major black pigment considered non-toxic. The word Mars refers to the Roman god of iron and war. Mars Black was developed in the early 20th century from inorganic, synthetic iron oxide. Black Iron Oxide, Iron Black, Magnetic Oxide, Mapico Black, Mineral Black. Sometimes labeled as Vine Black.